Winter 2018 Newsletter - Remodeling Tips - Remodeling Designs, Inc. I am writing on behalf of my wife, Lisa, and myself to once again thank you for the expert work you did on the new kitchen in our home in Sidney. Having lived in our home since 1994, we had long dreamed of replacing our 1978 kitchen. From the moment we started talking to you; we knew that you had the expertise, the knowledge, the vision, and the care to help us create the kitchen of our dreams. 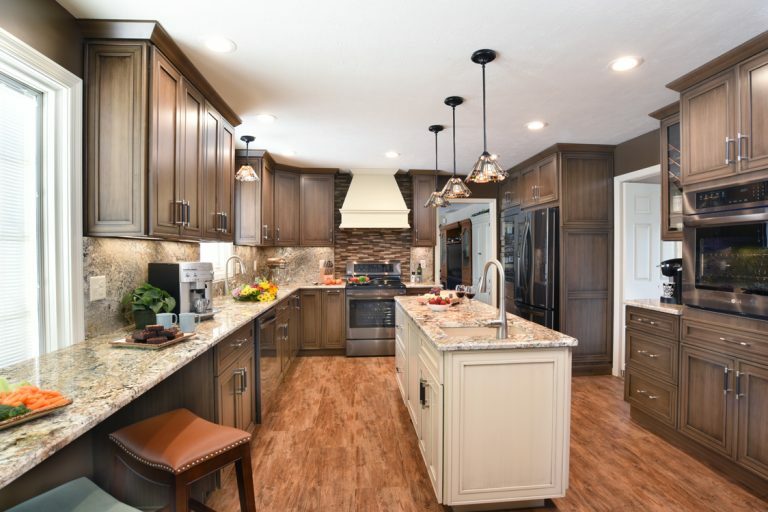 It may sound silly but you have truly changed our lives with a kitchen that is beautiful, spacious, well-designed, and tremendously functional. We still have to pinch ourselves as a reminder that no longer do we have a kitchen that is difficult to even be in at the same time, let alone so frustrating to try to entertain and serve friends and family out of. Whenever we’re in our new kitchen, we’re reminded of just what a great job you did. We had great fun as Beth, Erich, and Christine made recommendations that just “worked” while seeking out and listening to our ideas and incorporating them as well. 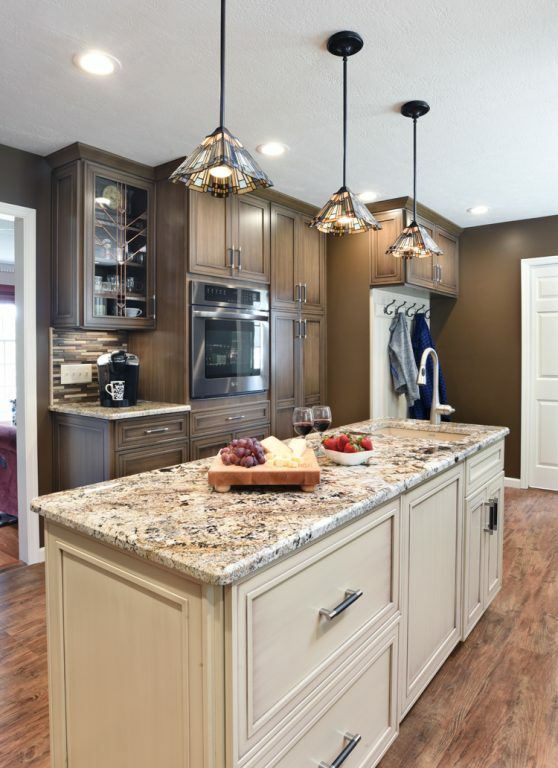 Things like the “floating” countertop and the special coffee area have worked out so well and, you were right—the center island with built-in sink is indeed our most-used prep area. And, thanks for figuring out how to position the island sink a little differently from what would have been the “norm”—it works wonderfully! Throughout the project, Gary kept things neat, clean, and orderly. He was always accommodating of our needs and our dogs fell in love with him. He painstakingly measured and thought things through and consulted with us, making some great recommendations along the way. He brought our dreams to reality as he opened up our formerly cut-up kitchen, dinette, and pantry area and created a space that flows well with plenty of room for ourselves and guests. He is a gem; communication was great and, most importantly, no surprises! In my 30+ year career, I have worked with thousands of contractors from across the globe. Your company treated us exactly like I teach other contractors to work with their clients and to handle jobsites. You are indeed “the model” when it comes to professional contractors who know their trade and care about their customers, always doing what is right. I can’t imagine that anyone would ever be anything but 100% pleased and even over-the-top ecstatic after working with you. Thank you again. Please feel free to stop by anytime, and also feel free to have your potential clients call us. Thank you all for the amazing support you’ve shown Remodeling Designs, Inc. over the last 28 years. The Open House on August 25th was no different. 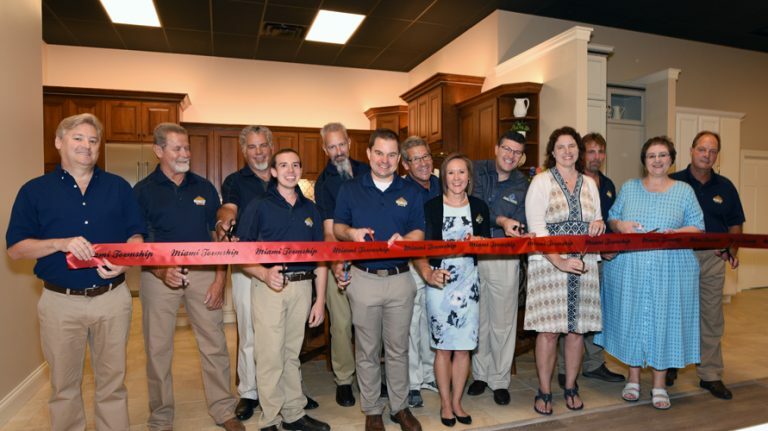 We, as a company, were overwhelmed by the number of past and current clients, friends, and family who came to celebrate our new location. Our new offices and showroom will create an endless amount of opportunities and we can’t wait to share them with you! You are the reason we come to work every day and love what we do. Thank you! See our full newsletter here. To receive our print newsletter quarterly in the mail, fill out the form below.